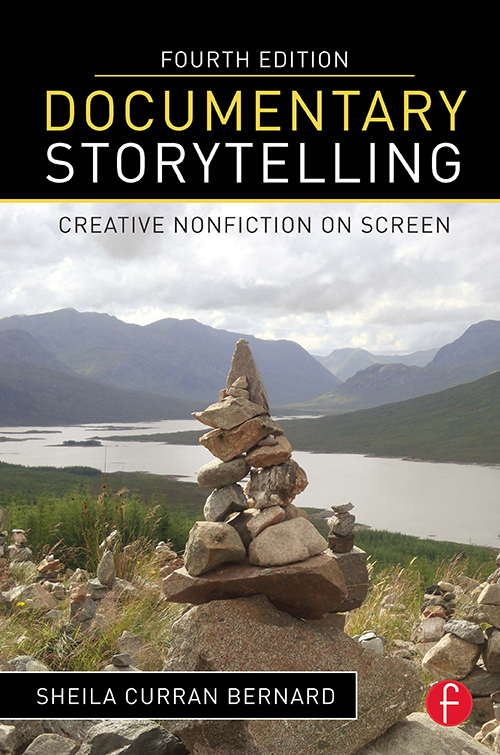 Editor's Note: This article is adapted from the fourth edition of Sheila Curran Bernard's Documentary Storytelling: Creative Nonfiction on Screen (Focal Press 2016). Audiences often respond to documentary work primarily in terms of its content or issues raised. In some ways, this is a mark of success, in the same way that people binge-watching a television drama may not take the time to notice how carefully the various subplots were constructed over an entire season, or how readers of a terrific mystery novel race through the pages to find out who did it. Done well, craft should feel inevitable, seamless and invisible. Characters are simply alive; the flow of ideas and plot feels organic; the argument seems well built and earned. But people who want to create novels or episodic television or documentaries need to figure out how that success was achieved. This article offers a few ways to analyze documentary films as a way of letting those films' creators—the team of people behind the production—teach you themselves. The opening sequence, beginning with the film's first frame, may be as short as a minute or as long as 10 minutes; each film is different. But in general, the opening sequence contains the DNA of the entire film to come. It sets out the promise between filmmaker and audience, making clear at least some of the film's rules of engagement, such as what the film is about, how the story will be told, with what elements the story will be told, and why it matters—why this film is worth an audience's time and attention. After you've watched this sequence, ask yourself some questions, such as: • What is this film is about? • Where is this film is headed? • What are the top three-to-five bullet points that the filmmaker has used to grab my attention and immerse me in the film, making me want to watch? 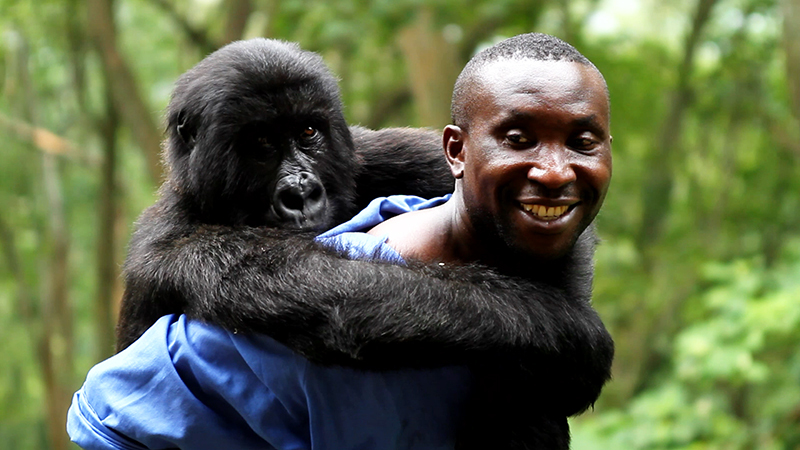 Here's an example of an opening sequence, from the powerful documentary Virunga (dir./prod. : Orlando von Einsiedel; prod. : Joanna Natasegara; editor: Masahiro Hirakubo). At the first frame of action, we enter with a group of men in uniform; it's revealed that they are part of a funeral procession. The scene is vérité; there is no text or voiceover to place us. At the graveside, a man speaks: "Protect us, and help us to account for each day of our lives." In voiceover, we hear another man: "Oh, Congo. Our dear Ranger Kaserka died trying to rebuild this country." As we leave the gravesite, the unaccompanied singing of the mourners gives way to recorded music, and the film cuts to aerial footage traveling low along a river. This image becomes black and white, giving way to carefully selected archival imagery, including footage, a map and stills. Over these visuals, with the theme song continuing, the filmmakers add 13 blocks of text that give the viewer historical and thematic context. These bring us from 1885 ("Africa carved into colonies ruled by European nations.") to 2003 ("First democratic elections in 40 years."). 2010: Oil discovery claimed in eastern Congo under Lake Edward in Virunga National Park. A home to thousands of people and the last mountain gorillas. A minute later, another aerial follows a small plane over a field, in which we see rangers patrolling. The film title comes up, and then the opening sequence, including the music, ends. The film then moves into a new, second sequence. To summarize: In less than five minutes, the opening of Virunga has set forth where we are, why we're there and what the problem is—as well as its deep historical precedent. We don't know everything, and that's as it should be. Virunga, like any good film, unfolds over time. It asks the audience to work as it watches, making connections, seeing irony, coming to realizations. We've seen a range of compelling, disturbing and breathtaking footage. In terms of film storytelling, it's useful to note that the film did not start at "the beginning," with archival images and facts about 1885. That would have been dull, because we're not yet motivated to care. It started with vérité footage of a funeral. The scene lasts about a minute and a half, and raises questions: In Congo, a man has died "trying to rebuild this country." Why does it need rebuilding? Why are people being killed for their efforts? Who are these men in their uniforms, carrying guns? The aerial along the water breaks us out of the funeral scene and brings us into the historical montage, which, as noted, runs from 1885 to the elections in 2003. Another aerial breaks this up, which has the effect of drawing additional attention to a newer, current threat (which will turn out to be a focus of this film): the discovery of oil under Lake Edward. The montage continues, but it's more localized now, and we move closer to the communities at risk and learn that instability has returned. This is the film's launching point. What is the central argument being made by the filmmaker? What evidence does the filmmaker offer in support of the argument? How is this story told? Do you see a central narrative—a forward moving story, or train, that makes you want to keep watching? Once you've identified the train/narrative spine, where and in what context does it return? Is it there at the film's end? Does the film satisfactorily conclude the story it promised in the opening? Who are the people in the film? What role does each play in the overall story? What other elements stand out in this film? For example, does something stand out in terms of editing, music or cinematography? Can you identify individual sequences (akin to chapters) that have a unique focus and a clear beginning, middle and end? Do you see how the ordering of these sequences also advances the overall narrative? Does the film's pacing feel slow to you? Does it feel dense with information? Just right? Another exercise that's useful is a "compare and contrast" between two or more films on the same general subject. This exercise is about really seeing how these films are constructed, as opposed to just deciding if you prefer one to the other. Does one version talk at you and the other engage you, and if so, why? Does one leave the audience with more parts of the puzzle to solve, and is that process satisfying? Does one feel more or less honest or manipulative, and if so, why? In thinking about the answers, consider also the experience of the filmmakers, the purpose for which the film was made and the audience the film eventually reached. A good film analysis asks the viewer to consider one aspect of the craft, studying the film closely in order to make and support an argument about that one aspect, with evidence. You might want to figure out how a filmmaker did something that you found particularly effective, or you might want to figure out why something confused or annoyed you. You might look at a particular idea or thread that runs through a film, teasing it apart to see where and how it appears and with what overall effect. You want to avoid writing a plot synopsis, film review, opinion piece or film "report" (like a book report), that merely observes. Similarly, a review tends to use adjectives (powerful, blistering, boring, heartbreaking) or make judgments. The trick is to turn the judgment into a question. For example, while a review might note or critique a filmmaker's choice, an analysis would consider what was gained or lost by that choice. Also, it's important that these analyses adhere to a single focus. Rather than spend a paragraph looking closely at the role of re-enactments, and then a paragraph looking at the use of title cards, and then a paragraph considering the filmmaker's choice not to identify talking heads, it's much more valuable to take one thread or idea and look closely at it as it's demonstrated in a range of craft choices. Learning from top documentarians by closely watching their work—often multiple times—is one of the best ways to figure out their strategies for reaching audiences. As Virunga director Orlando von Einsiedel says, "Your film could be about the most important social issue in the entire world, but if it's a really difficult film to watch—because it's boring, for instance—you're going to limit your audience to a very small number of people, and therefore you're going to have a lot less impact on the social issue you care about." For von Einsiedel and his team, this meant that filmmaking choices were made on the basis of what would drive the narrative forward, and making tough choices along the way. 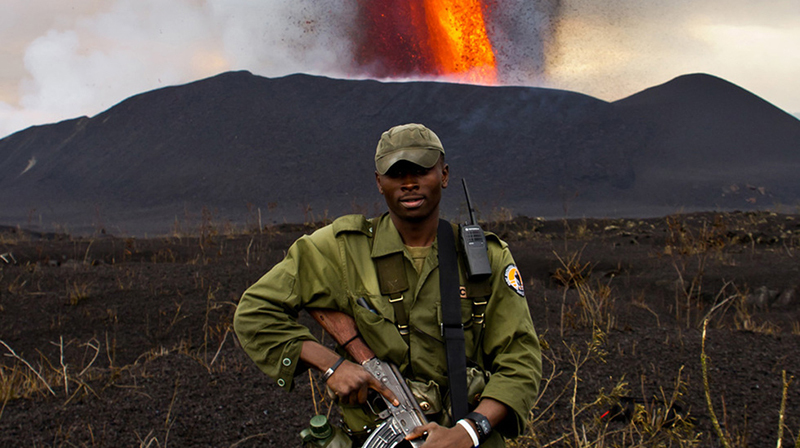 He explains, "When I say the narrative, in the case of Virunga, I mean the oil story and the growing war story and then how elements of the two stories potentially intersect." 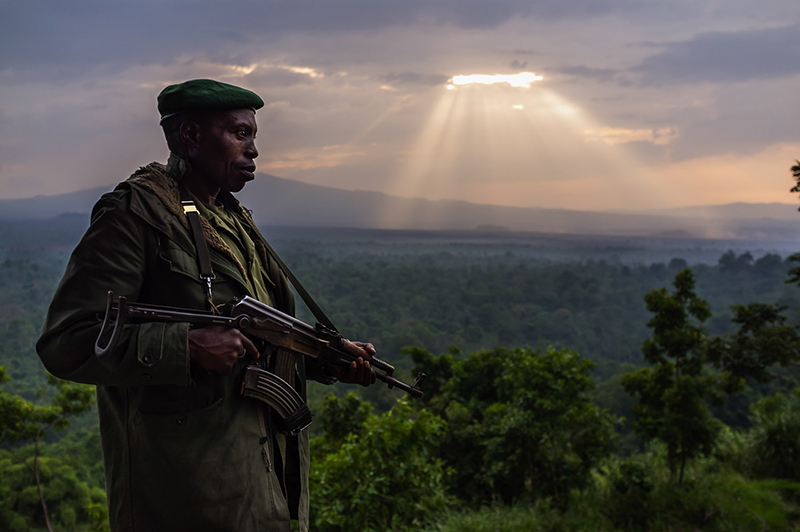 By closely watching Virunga, viewers can see how the other issues the film raises, such as poaching and deforestation, provide context, but are then minimized in favor of this more focused narrative. Sheila Curran Bernard is an Emmy and Peabody Award-winning filmmaker and an associate professor at the University at Albany, SUNY. For more information, see www.sheilacurranbernard.com.